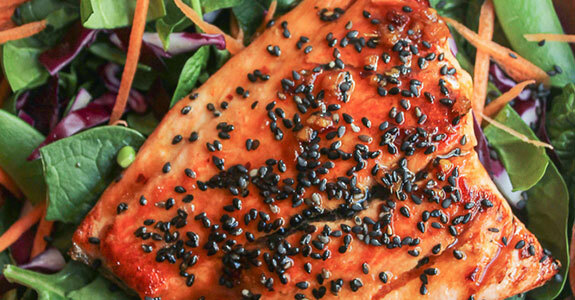 Salmon is a great food for paleo eaters, for lots of reasons. To begin with, it’s nutritious. Second, it’s tasty. Third, it cooks up really quickly, which is important when you’re on a whole foods diet. 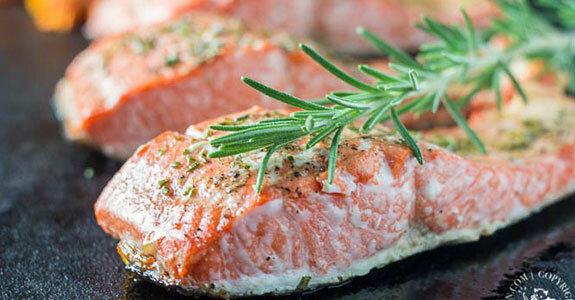 Convenience foods aren’t an option and healthy food can take longer to prepare, so quick-cooking salmon helps us out! Last, salmon is delicious prepared in about a million different ways. All the recipes I’m sharing with you today are different from each other in flavors and ingredients, so you’ll never get bored. This is a simple and flavorful egg salad that could replace the not-so-paleo-friendly version at summer picnics and family gatherings. It’s made with pasture raised eggs, olive oil mayonnaise (or homemade), red wine vinegar, smoked salmon, capers, green onions, and more. 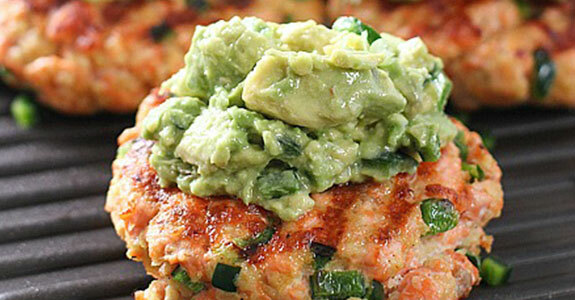 These salmon burgers are so tasty, you won’t even miss the bun. I promise! Make them with salmon, almond meal (as a substitute for the panko crumbs), green onions, poblano pepper, avocado, fresh lime juice, salt, and black pepper. Serve with steamed veggies. This healthy bowl is made with one of my favorite foods: plantains! 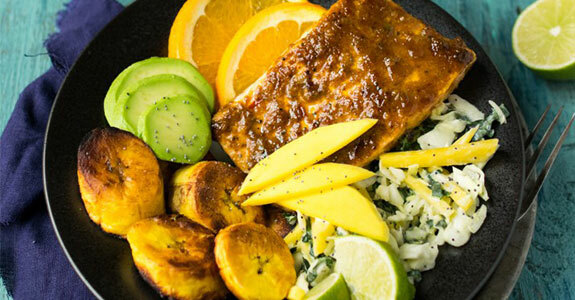 It’s full of nutrients with beets, spring greens, dried chilies, and avocado, along with coconut aminos for a deliciously umami-rich flavor and plenty of protein-packed salmon and sweet plantains. This simple but unique salmon would be perfect served alongside steamed or grilled veggies, and it’s easy to make with just lemon juice, ground black pepper, ground turmeric, and honey. The turmeric and honey form a delicious, seasoned golden glaze. Looking for a way to make veggies extra yummy and appealing, even for breakfast? Add smoked salmon like in this savory breakfast or brunch bowl. It’s made with asparagus, sugar snap peas, endives, spring onions, eggs, smoked salmon, and sea salt with a whole grain mustard dressing. Salmon goes especially well with relishes, salsas, and other sauces used to flavor it before, during, or after cooking. I like this one made with roma tomatoes, fresh chopped basil, garlic, minced shallots, lemon juice, salt, and pepper—done in less than 20 minutes! Thai food is one of my favorite cuisines to make. I love the combination of spicy and tropical flavors! This one is amazing with just a few ingredients: wild-caught salmon, Thai sweet chili sauce, and lime juice and zest. If you’re using store-bought sauce, check the ingredients. Salmon is a popular dish for crusting in the paleo world, and I’ve seen a lot of crusted salmons, but never one like this! This chia crusted salmon is flaky, crunchy, and amazing with chives, chervil, olive oil, and a lemony shaved broccoli and fennel salad. This beautiful dinner couldn’t be simpler with store-bought harissa paste, lime juice, asparagus, olive oil, and a salmon side. The gorgeous color of the harissa salmon is the perfect complement to fresh, bright asparagus. Serve with lime wedges and impress your guests. Speaking of lime, this honey lime salmon is to die for and perfectly flavored with garlic, ginger, coconut aminos, and maple syrup. Serve it over mixed greens, top it with black sesame seeds, and call it dinner in just fifteen minutes. Perfect fast weeknight meal! Parchment is a French cooking method that involves baking in parchment paper to seal in flavors and moisture. This version is flavored with garlic and ginger, along with coconut aminos (instead of soy sauce), rice vinegar, and lime juice. The color contrast with the spinach is gorgeous! One of the things I like best about salmon is that it’s easy and fun to throw into different dishes to add interest and nutrition. I love it in these coconut zucchini noodles with coconut milk, dried chili, lemon, butter, and other seasonings. The sweet orange and the savory garlic in this recipe combine to form the most delicious glaze for flaky salmon with salt, ghee, minced garlic, fresh rosemary, orange zest and juice, and a bit of tapioca starch to thicken it. And that’s all you need, folks! I’m a huge fan of Moroccan spices because I love cinnamon, and I love combining it with savory spices like cumin and salt. 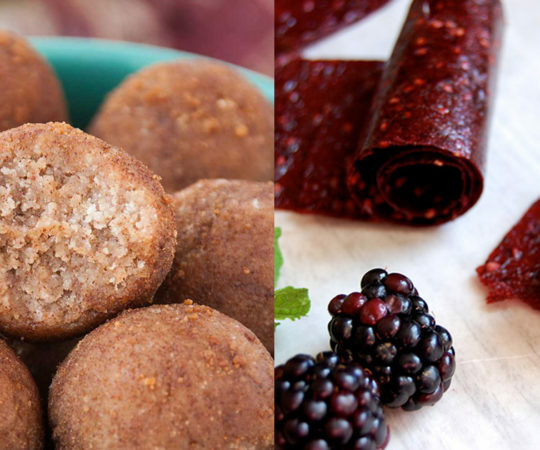 Cinnamon doesn’t have to be reserved for sweet dishes! 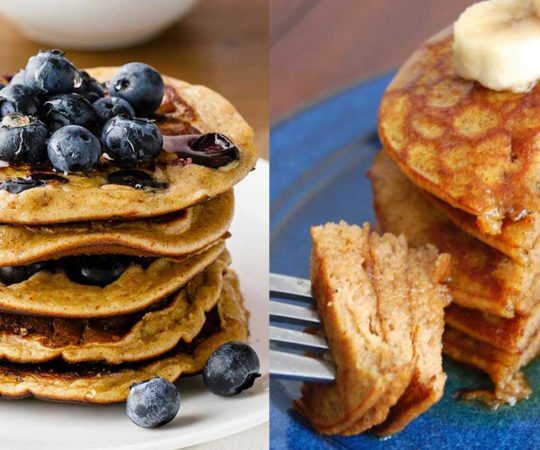 In this recipe, replace the sugar with coconut sugar to make it fully paleo. Not everyone loves seafood—that’s just a fact. But you might be able to tempt even the skeptics with these delicious salmon cakes, made with flaked cooked salmon, potatoes, green onions, dill, Dijon mustard, lemon zest, eggs, coconut oil, sea salt, and black pepper. The unique combination of flavors in this salmon comes from fennel, tomato, balsamic vinegar, and lemon zest. It’s so tasty cooked with olive oil and seasonings on a wooden plank—cedar is my personal preference, but alder would work nicely, too. These delicious bowls are suitable for Whole30, low FODMAP, gluten free, and (of course) paleo diets. They’re easy to make, and you just need sweet potatoes, coconut oil, sushi grade salmon, avocado, arugula greens, coconut aminos, and sesame oil with sesame seeds to top. In fifteen minutes flat, you could be stuffing your face—uh, I mean politely dining on—this delicious salmon with its bright and beautiful topping. 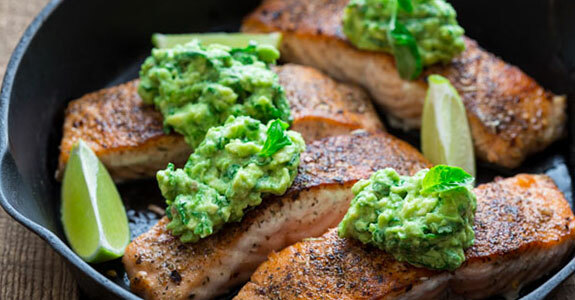 The topping is avocado, basil, salt, and lime mashed together, over a red pepper salmon filet. Paprika is a lovely seasoning for salmon, along with minced garlic, onion powder, cayenne pepper, fresh herbs, and salt. 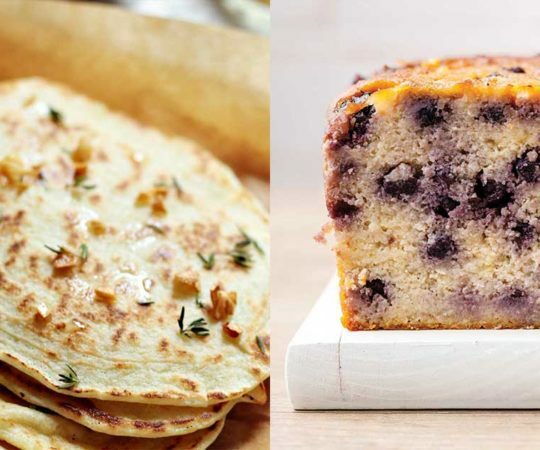 You don’t need a lot of fancy ingredients to make it taste good! Try this one with green beans—you could also use carrots or other veggies. I’m a huge fan of butter in and on just about anything. Combine it with honey and I’m pretty much set for life—I could live off butter and honey, right? But I’d rather live off the salmon filet with a browned butter and honey sauce, fresh sage, and sea salt. 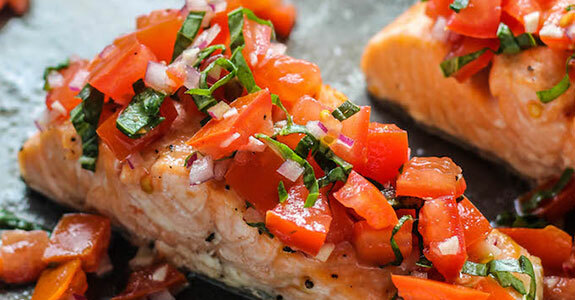 This salmon, seared with cherry tomatoes, finely chopped fresh herbs (just about any kind you like will do for this), butter, salt, and pepper, is super simple and absolutely delicious. It’s ready in 20 minutes, so it’s a great main dish for busy weeknights. 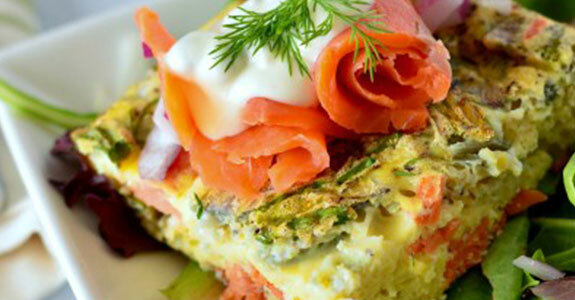 Frittatas are another great way to enjoy salmon, because they form a protein rich meal that’s full of flavor, and you can add veggies and herbs, too. This one is made with chives, red onion, dill, capers, garlic, and a yummy homemade aioli flavored with chopped capers and lemon. 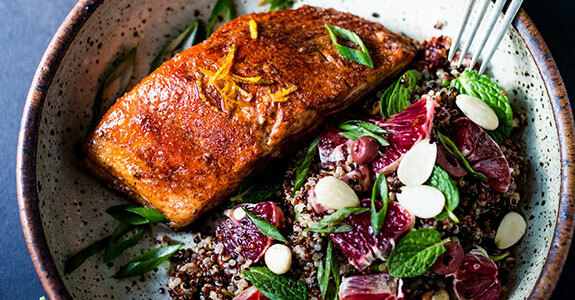 This recipe is officially called Pomegranate-Soy Glazed Salmon, but we’re going to adjust it by replace the soy sauce with coconut aminos. Voila! We then have a delicious paleo-friendly and elegant salmon dish with whole grain mustard and balsamic vinegar. You can never be without a simple and easy recipe like this one. Smoked salmon, fresh veggies, gentle flavors: what more could you ask for? These grape tomatoes, red onion, and cucumbers go so well with balsamic vinegar, dried oregano, fresh lemon, and more. With zucchini, red wine vinegar, salmon, fresh dill, dried herbs, peas, and wild caught salmon, you can be on your way to this amazing bowl of goodness that would be really great to open up in my lunchbox during my lunch break on a hectic day. Ever had cioppino? 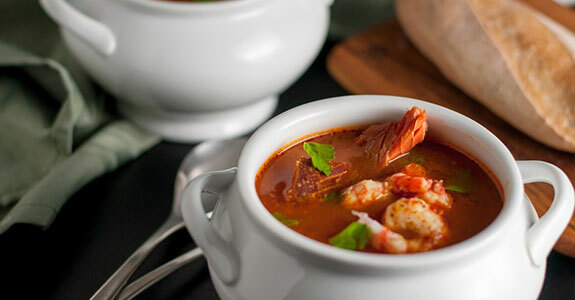 It’s a delicious Italian seasfood soup, and this version is made with bacon, onion, celery, fennel, garlic, white wine, and seafood of your choice—you can use salmon, white fish, shrimp, crab meat, clams, scallops, and anything else you like. The homemade blackening mixture in this recipe uses cumin, paprika, garlic, cayenne, chili powder, and coconut sugar to make your salmon darkly delicious and crispy. Drizzle with honey to help everything caramelize and serve with lemon and veggies. These salmon bites are a little bit (or a lot) addictive, so watch out! They’d be perfect for a party. Make them with Scottish salmon, egg, tapioca starch, shredded coconut, paprika, coconut oil, and a homemade, paleo-friendly sweet chili sauce for serving. This recipe uses honey granules, but if you can’t get them, you could use coconut sugar instead. 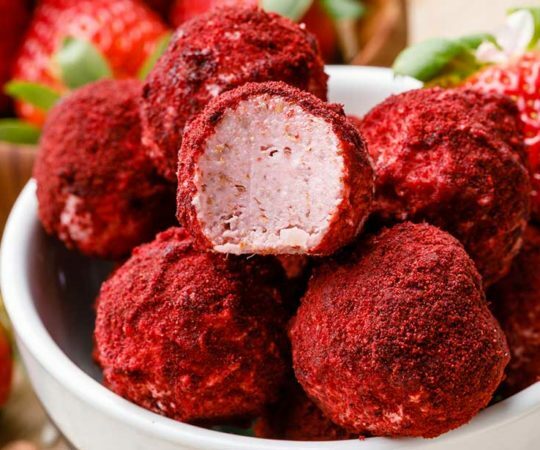 You’ll also need chili powder, cumin, smoked paprika, cayenne pepper, kosher salt, black pepper, and olive oil. It’s a bit spicy, a bit sweet, and super yummy. Can you believe this delicious entrée has only four ingredients? Just four! You’ll need wild-caught salmon (sockeye recommended), olive oil, fresh chopped rosemary, and sea salt and/or ground pepper taste. If you don’t count those, it’s only three ingredients! I love the sweet and spunky flavor of this glazed salmon, made with whole grain mustard, maple syrup, extra virgin olive oil, Dijon mustard, kosher salt, fresh cracked pepper, and lemon. It’s perfect with a fresh side salad or steamed or roasted vegetables. This hearty and earthy meal is full of umami flavors with sautéed mushrooms made with butter and balsamic vinegar. You’ll also need spinach, Campari tomatoes, garlic, pepper, olive oil, and (of course) your salmon filets. 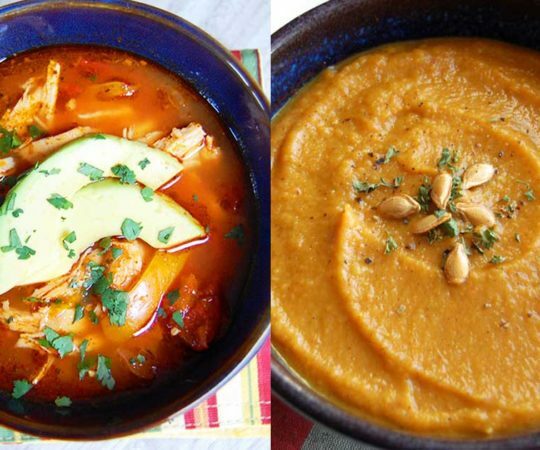 Enjoy for lunch or an easy dinner! These delicious salmon balls are a unique way to enjoy your fish, with almond and coconut flours, tapioca starch, fresh parsley, green onions, garlic, lemon zest and juice, Dijon mustard, egg, red pepper flakes, freshly ground black pepper, and a yummy coconut-tahini ginger dipping sauce. Of all the recipes I’m sharing today, this one is almost certainly my favorite. I love the delicious jerk salmon with orange, garlic, and butter. The mango coconut slaw is irresistible with coconut milk, cabbage, mango, shredded coconut, and poppy seeds. And don’t even get be started on the amazing fried plantains! Black garlic gives such a fantastic flavor to this lime salmon cooked on a cedar plank. You’ll also use onion powder, black pepper, and dried oregano. It’s a simple recipe that’s perfect for a quick dinner at lunch and takes just a few minutes to throw together. Want to learn how to make your own smoked salmon at home? Here’s your recipe! You can smoke your own salmon with wood shavings, a wire rack, a biscuit tin, Himalayan salt, pepper, and a drizzle of olive oil. When it’s done, serve it with pesto and crackers! 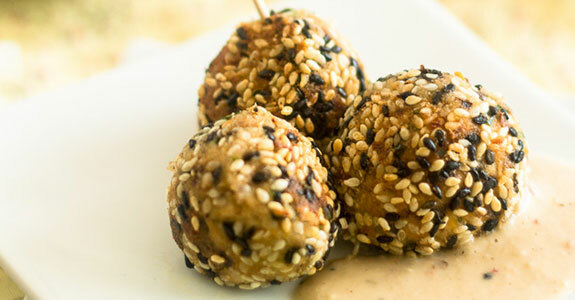 This different take on sesame salmon balls uses Dijon mustard and citrus zests with red pepper flakes and a delicious tahini dipping sauce made with raw honey, apple cider vinegar, minced fresh ginger, toasted sesame oil, lemon juice, and garlic. You won’t be able to stop eating them. For a Whole30 friendly salmon dinner that’s quick, easy, and tasty, try this one made with salt, pepper, fresh dill, garlic, olive oil, coconut oil, and lemon wedges. It’s done in 20 minutes with just a handful of ingredients, so you really can’t go wrong! Serve with veggies or a salad. Craving takeout? 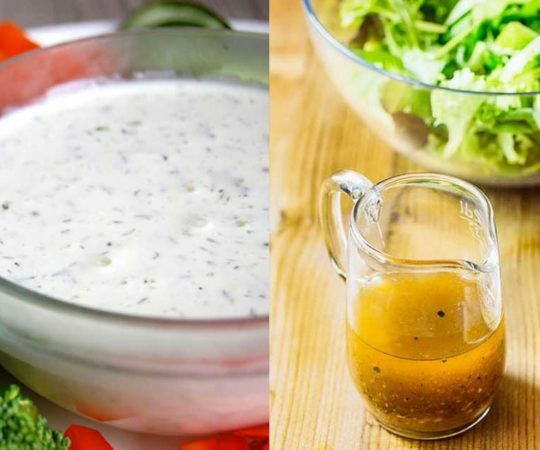 You can make it at home yourself with healthier ingredients and methods, resulting in fresher, more delicious food. For this one, you’ll need coconut milk, salmon, curry powder, tomato sauce, fresh ginger, garlic, sweet potato, and jalapeno.